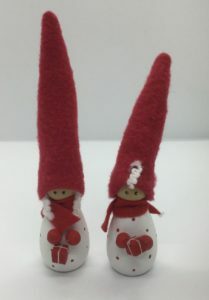 Home / STORE / Nisse / Gift Nisse. Here are two kind little Nisse waiting to give you a gift. Maybe as a thank You, Birthday, anniversary, Valentine, Christmas, Mother’s or Father’s Day! Oooh the poissibilities are endless! Choose from a Little girl or boy or maybe dont choose at all and buy them both.